An ancient Ganesh temple of Kashmir. Ancient deities at the door - Bhairav(? Update [2017: Vishnu, one face boar, one face lion, similar found from Martand temple]) keeps guard. Wish.Threads tied to the window. Ganeesh Ghat School, right side wall of the temple. Markings on the window indicate that it's used as a camp by the security people. I was told my maternal grandfather studied here till his third or second grade. Right bank of Jehlum as seen from the Ganpatyar temple (also on the right). Jehlum, as it flows through Srinagar, is lined with ancient temples on its banks. A security man posted at the gate said he's from Chandrapur. I know the place, it's near Nagpur in Maharashtra. In summers the temperature can go up to 47 degree Celsius and burn the skin off your back . He knows why he is here and doesn't mix words while explaining it to the visitors. He said that the day they are out of here,' none of this would stand'. As I looked for the ghat, a Sikh security man explained that the ghat isn't accessible from the temple. You have taken me back to sixties when I used to read in Vinayak School, Ganpatyar. Obliged. I have spent my childhood in this temple. Makes me happy! Thanks for the comment. stick around for more Kashmir. i think the statues wrought in black stone (which you have surmised to be bhairava's) are Chaturmukhi Vishnu's. The Lakshmi Narayan Temple Complex in Chamba(Himachal Pradesh) has a whole temple dedicated to this manifestation of Vishnu. The heads that are visible in the pictures furnished here are (to the best of my knowledge) as follows L-R: Narsingh(lion-headed) ,Chaturbhuji Vishnu(the usual radiant form of Vishnu) and Varaah(boar-headed manifestation of Vishnu). 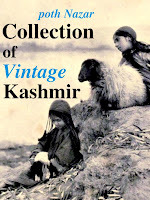 There is a similiar sculpture in bronze in the National Museum in New Delhi which has its provenance listed as Kashmir. I would like to add that your blog is great! keep up the good work. Please try obtaining a picture of the Khir Bhawani goddess and feature it on your blog. I love making miniature paintings in my leisure time and as such,would take great delight in painting a miniature of goddess zeestha in the traditional Kashmir miniature style. thanks for the great comment! I think you are right. These have to be Chaturbhuj Vishnu. I just noticed the chakra in hand. Thanks again! I will be uploading photographs of Khir Bhawani soon. You can find my previous posts on Khir Bhawani here. And regarding goddess Zeestha you might find this interesting. this time,i would like to know about the temple's name. Its name 'ganpatyar' is reminiscent of temples in south India dedicated to 'Vinayakar'(Ganesha). The suffix '-ar' is usually used in the South after names of deities. 'Ganpati' + '-ar' would make 'ganpatyar' according to rules of 'sandhi' in Sanskrit(since 'i'+ 'a' = 'y').This sounds like a mathematical equation, but it seems that there may be more to this. In one of the pictures, the temple entrance is made of black stone and looks very much like that of a temple of the south. I have been to the other mountain-country beloved to Shankaracharya,i.e.,Uttarakhand. Some temples there have certain images strikingly similar to those of the south. I asked the pundits about the conundrum,"how did techniques of sculpture developed in the farthest south come to be realized here,in this mountain land of the north?". They had interesting answers. They answered that Shankaracharya was, in essence,a South Indian. He brought a number of South Indian brahmins with him. They posited that the local Bhatt Brahmins(they have Bhatts in Uttarakhand too) were the descendants of the said brahmins from the deep south. The features of these Bhatt brahmins,as i observed, betrayed nothing of their south Indian roots. They were light-skinned,sturdy fellows and some had light brown hair and eyes. Then the pundits took me to a temple to Shankaracharya that was situated nearby. It was built unmistakably in the style of the south. Could it be that the Bhatt brahmins of Kashmir have their origins somewhere in the deep south, the birth-place of Shankara? Just like he did in Uttarakhand, he may have decided to station a few pundits from his own land to look after religious matters. If this is proven to be the case, we must be proud that we Indians are indeed brethren,a united people, from Kashmir to Kanyakumari. As far as i know. Ganpatyar gets its name because it's close to 'yarbal' (kashmiri word for river 'ghat' alongside Jehlum). 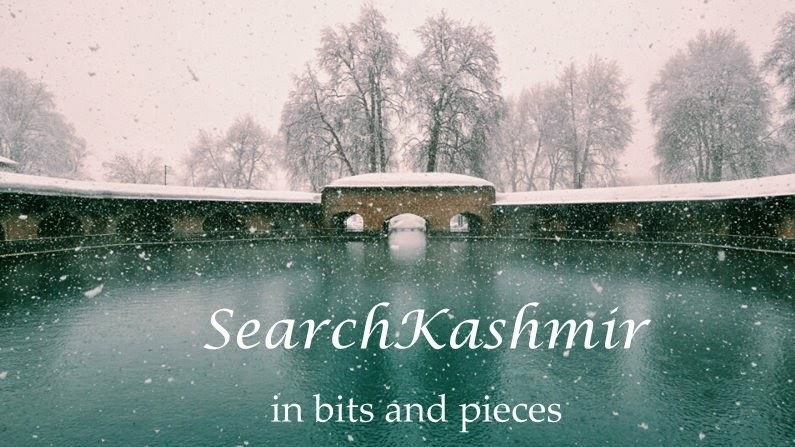 In Srinagar, alongside Jehlum you would find places with names like Kharyar near Khar yarbal, Malyar near Mal yarbal, Somyar near som yarbal, there's one Bhattayar also near Bhatta yarbal. I read there's one Suhayar near Suha yarbal. This one is apparently named after Suha Bhatta to (in)famously converted to Islam in 14 century at the time of Sikander Butshikan.